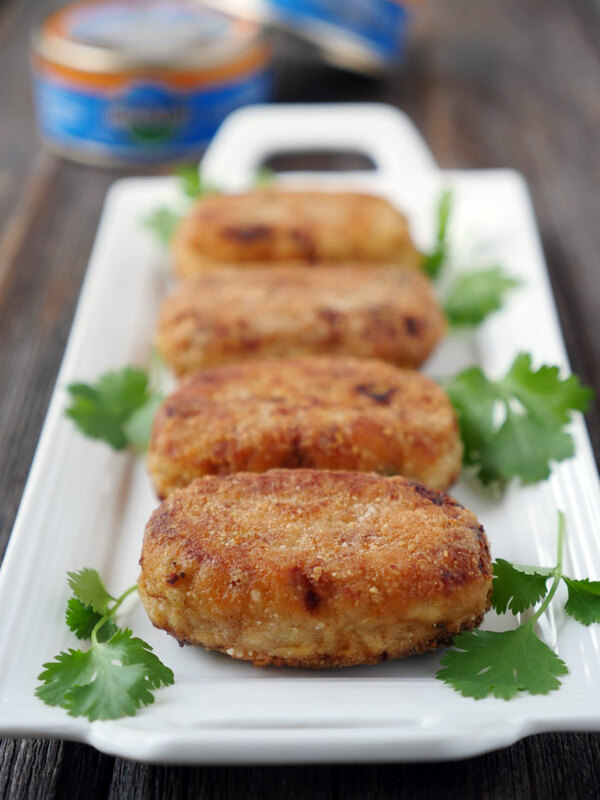 Tuna Croquettes or cutlets are like fancy fish sticks for adults. 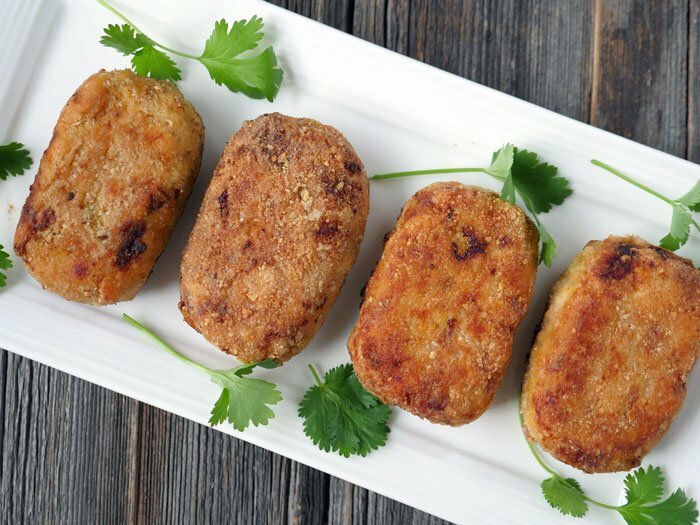 These tuna croquettes are sweet, spicy and incredibly flavorful. They’re shallow fried in ghee and have a delicious, buttery and crispy crust. 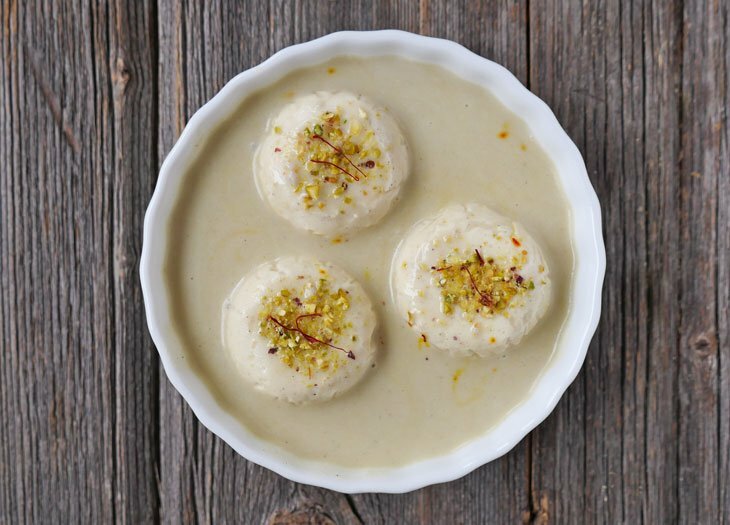 Whatever you call them – croquettes, cutlets, or tikkis – they make for the perfect appetizer. These little fried patties are a finger food and they’ll have you and your guests/family wanting more. 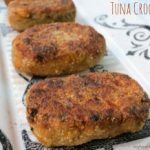 If you eat beef, you should try my beef cutlet recipe – those take a little more prep work though whereas these tuna cutlets are incredibly easy to make. This somewhat fancy looking appetizer is made with a couple cans of tuna fish. I know – canned tuna doesn’t sound fancy, right? I’m pretty sure once you make this, you’ll never look at canned tuna the same way again. You can use whatever canned tuna you’d like for this dish but I suggest wild planet tuna. Their tuna is sustainably caught and when you open the can, you’ll see a nice piece of tuna steak inside. My Costco store sometimes carries wild planet but you can also buy this brand online (I suggest buying in bulk because individual cans are expensive). If you have any other suggestions for brands of canned tuna to look out for please let me know in the comments. So, when you make this dish, you can use either use white potatoes or sweet potatoes to help hold the patties together. I typically use sweet potatoes because I always have them at the house. The thing with sweet potatoes is that they don’t hold up quite as well as white, so you’ll need to refrigerate the patties to help them firm up so that you can dip them in the egg and then into the almond and tapioca flour mixture. After you’re done frying the cutlets, you’ll have perfectly golden brown patties ready for eating. 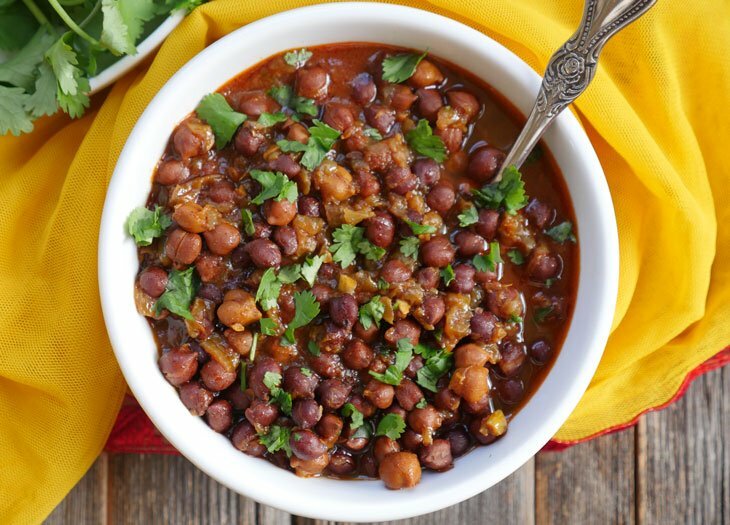 This is one of the many delicious recipes in my eBook, South Asian Persuasion so if you’re looking for healthy paleo-friendly recipes with a lot of flavor, then be sure to check it out! Bake sweet potatoes in an oven at 400 degrees for 40 minutes or until tender. Set aside and let cool. Melt ghee in a saute pan over medium heat. Add onions, garlic, ginger and Serrano pepper and saute for 5-6 minutes, or until the onions begin to turn golden brown. Add the spices, stir-fry for 30 seconds, then pour the mixture into a large bowl along with the tuna and 1 cup of mashed sweet potato and mix well. Roll the mixture into flat little oblong shaped patties. Put the patties in the fridge overnight (or for at least a few hours) to help them retain their shape. In a plate, mix the almond flour and tapioca flour. Dip the patties into the whisked egg and then gently place into the almond and tapioca flour. Shallow fry the cutlets in ghee in a cast iron skillet until golden. Use a fork or spatula to gently flip them over. Planning to make these tonight! But there is no mention of when to add the spices. I’m assuming with the onion mixture? Hi Layla! Thanks so much for letting me know – I’ve updated the recipe 🙂 Let me know how they turn out for you! any way to replace the egg? Keira, you can use ghee to get the coating to stick instead. Hope that helps! I’ve been trying to add more fish to our diet , but had completely given up on ever eating tuna again. I make my own mayo..but with tuna it just had to be Hellman’s. Then I found your Tuna Croquettes! OMG! they are so delicious. I used the tuna you suggested from Costco. Delicious. I never missed the mayo for a second. We will be having this every week. My sister even suggested these for our Friday Pizza Night replacement. Sounds good to me. maybe with some sweet potato fries! Colette, I’m so glad you and your sister liked this recipe! Thank you so much for letting me know how it turned out for you guys 🙂 I bet they would be great with sweet potato fries! Until this recipe I hadn’t been able to find any way to eat canned tuna. I just didn’t like the flavor or texture. BUT, these patties are so, so good. Both my husband and I love them. Thank you so much for the recipe. These are amazing. I am very happy to have a very nice recipe to nicely use canned tuna! I want to try this recipe with various adjustments, including crab meat. Valerie, I’m so glad to hear that you and your son enjoyed the recipe! 🙂 Thank you for letting me know how it turned out for you. where we live, would you tell how much in weight the cans are please? Hi Jan, each can is 5 ounces. Hope that helps! Thank you for letting me know the weight, I made them tonight and they were really nice, my son who normally won’t eat fish cakes, loved them and even asked for the recipe, my husband who doesn’t like sweet potato, I was hoping he wouldn’t notice them and change his mind, unfortunately he didn’t like them, but my son and I thought they were great, thank you. Jan, so glad you and your son liked them 🙂 And, I understand – my husband doesn’t care for sweet potatoes either so I usually make his with white potatoes. Hi Carla! The cans were 5 ounces each – I’ve updated the recipe to reflect that and will make an effort to include that information in other recipes. Thanks for letting me know 🙂 Hope you love the croquettes! Hi Thara, yes, you can use the fat of your choice. Can’t wait to hear what you think of them! Hi Ashley! What’s the serving size on these? Thanks! Hi Ashley! 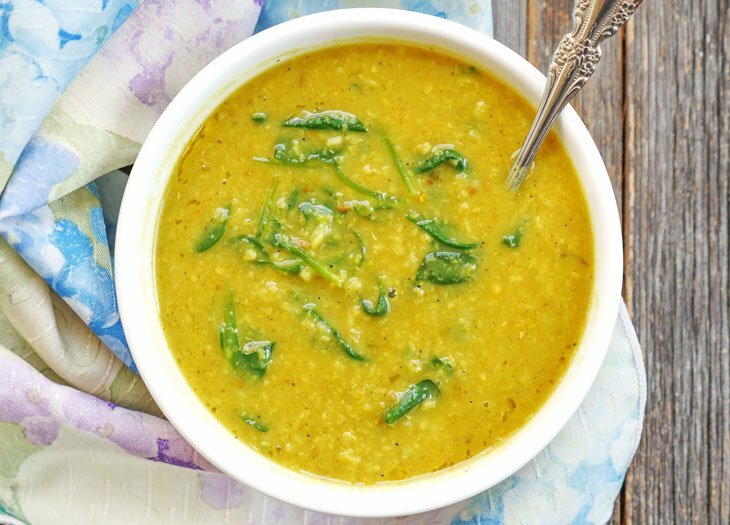 I’m always searching for good time recipes, and just came across yours which looks delicious. I was wondering if the almond and tapioca flour are necessary. Can they be substituted with something else? Hi Mehnaz, I use almond and tapioca flours to keep this gluten-free but you can use breadcrumbs if you’d like! I read in one of the comments above you can use bread crumbs instead of almond and tapioca flour. How much breadcrumbs would we need?